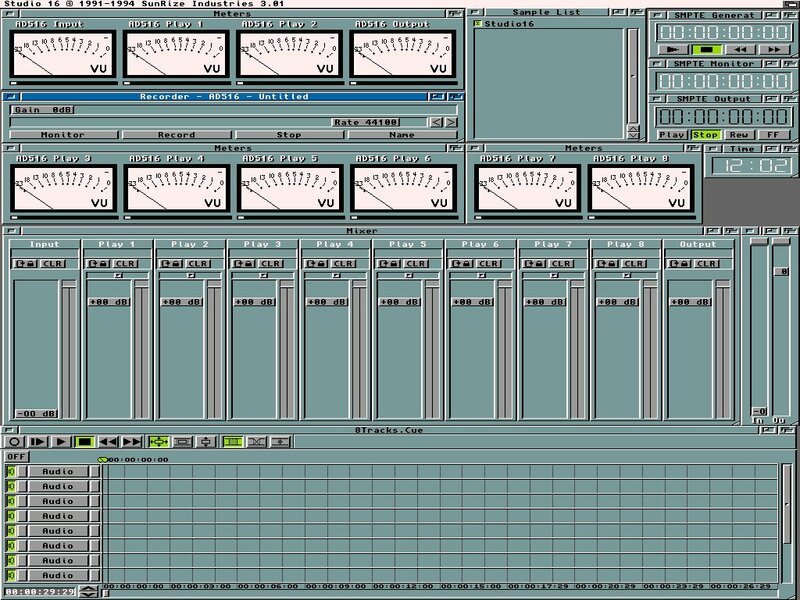 A full length Zorro II 4 channel (requires an 030 for all 4 channels) 12 bit sound card designed for SMPTE and post production work. The cards contains a 2105 DSP and supports mono sampling at up to 48Khz with anti-aliasing. It also has an LTC SMPTE time code reader, cue and generator. The card also contains 64K of SRAM which is upgradeable to 256K. This card was supplied with Studio 16 for sound production.